Brighten up your home with this elegant sunburst metal wall mirror. A pale green finish adorns this sunburst metal wall mirror to give off a sense of nature. This mirror's metal construction also creates a nice complement with its pale green finish. 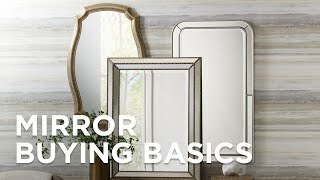 Furthermore, the crisscrossing design in the center of the mirror helps add depth to this mirror. It is sure to be a great addition to any rustic-themed home or lodge. 31" wide x 31" high x 3" deep. Hang weight is 6 lbs. Glass only section is 13 1/2" wide x 13 1/2" high. Sunburst wall mirror form Cooper Classics.